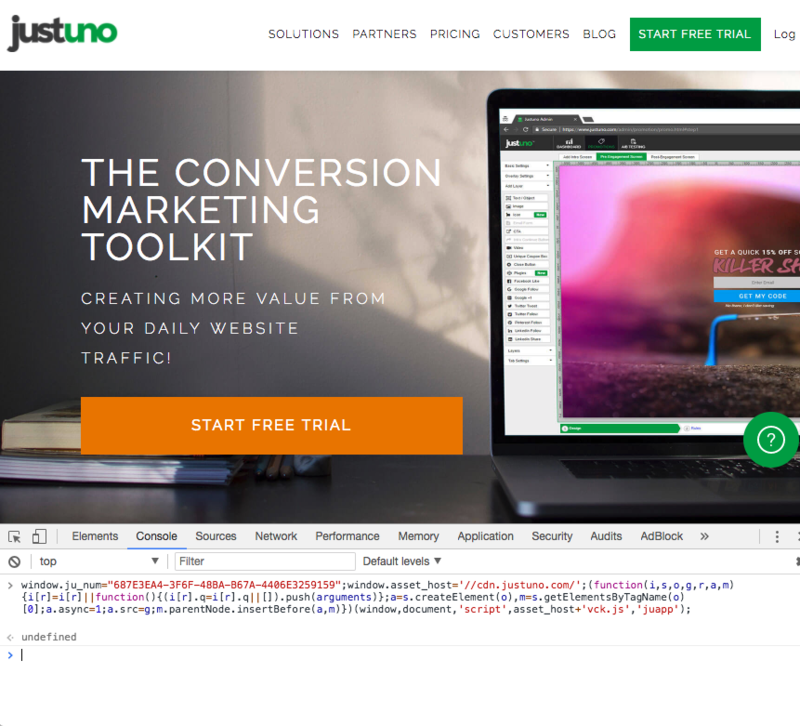 Testing on your locally hosted site is as simple as copying and pasting your embed code into the browser console (minus the script tags). If you don't know what script tags are or how to get to the browser console keep reading and I will show you! First lets find the console. On Chrome or Firefox the easiest way to get to the console is by right clicking inside of your browser window and selecting the "Inspect" or "Inspect Element" option from the menu that pops up. In Safari you may need to activate the web inspector if you have never used it before. You can follow these instructions to do so here. Then follow the same instructions as you did with Chrome and Firefox. Now you will have a window that looks like the one in the following picture appear at the bottom of your screen. Click on the "Console" tab and we are almost there. 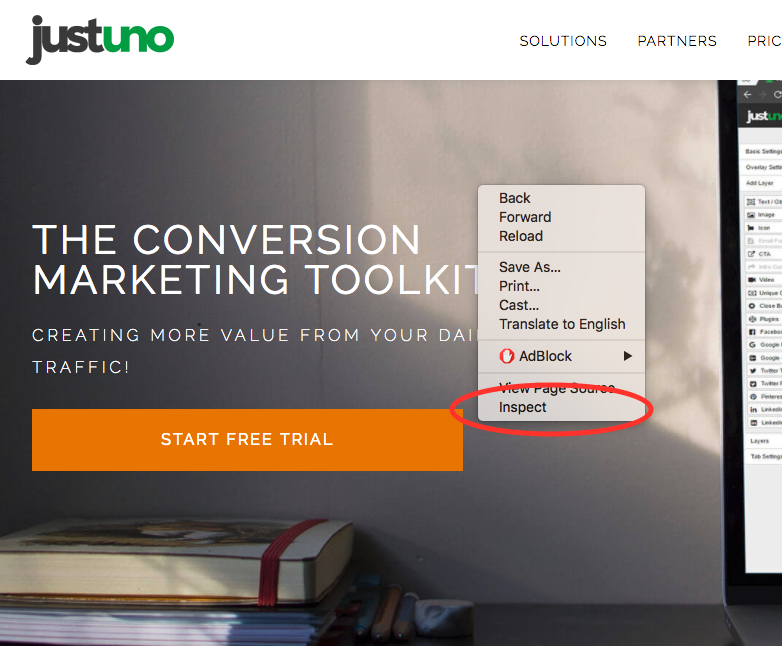 Now go grab your embed code by clicking on the gear icon in the top right corner of your Justuno account page and selecting the "Embed Code" option from the drop down menu. Copy your embed code, go over to your own locally hosted page, open the console, and paste the embed code into the console as shown below. Make sure to delete the script tags from the beginning and ending (They look something like this "<script data-cfasync="false">" and "</script>". Hit enter and you are ready to test! 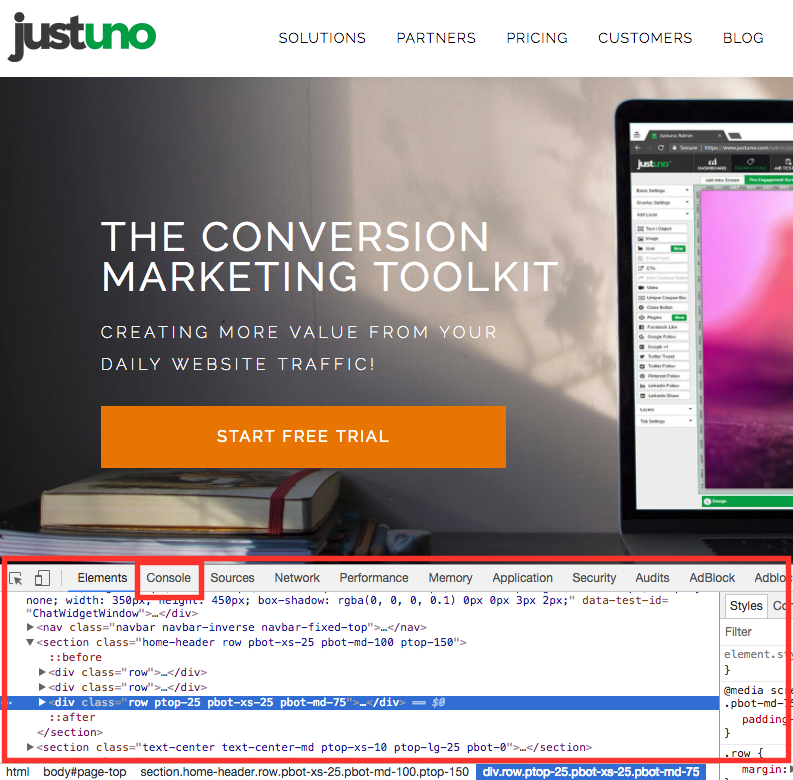 Keep in mind if you make any changes to your promotions from your Justuno account, you will need to refresh your locally hosted page, re-paste the embed code in the console, and hit enter again.